What is the Jaguar Maintenance Schedule? The Jaguar maintenance schedule can vary, depending on the Jaguar model you drive and its engine type. However, some services and service intervals apply no matter the model and powertrain. Below, you’ll find an overview of recommended maintenances for Jaguar vehicles — both new and used. If you need any of the following maintenances and repairs, our service center near Coto De Caza can help! Schedule Jaguar Maintenance at Jaguar Mission Viejo in Mission Viejo! Does your car need any of the above-listed services? 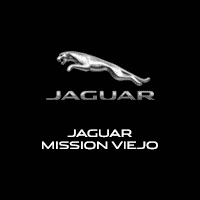 Schedule a service appointment at Jaguar Mission Viejo, located near Coto De Caza and Laguna Beach. Don’t hesitate to contact us with any questions about Jaguar maintenance costs and Jaguar parts! 0 comment(s) so far on What is the Jaguar Maintenance Schedule?